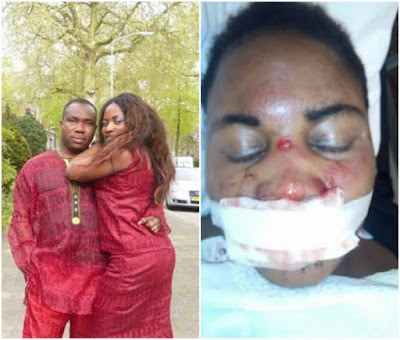 David Steven, an Edo Born Pastor living in Netherlands reportedly left his wife battling for he life after allegedly pushing her down from stairs. However defending himself and trying to debunk the rumour, he claimed he had a misunderstanding with his wife when she came back from where she went to. According to David, he tried being romantic before opening the door for his wife. However his wife who pictured him as weird at that moment, mistakenly slipped off and hit her head on the floor. He concluded his story by advising men never to assault their wives. Social media users who read his story disclosed they won’t be falling for that, as they bashed him for even coming online to defend himself. 0 Response to "Nigerian Pastor assaults wife by pushing her down from the stairs in Netherland"